The war over gay rights in America and other modern nations has been largely won. Too many people have come out of the closet and will never go back in for the clock to be turned back. Most of these out individuals have loyal friends and family members who offer unequivocal love and unqualified support. We have reached a tipping point where LGBT people are even coming out in traditionally conservative bastions where the issue has long been seen as taboo. 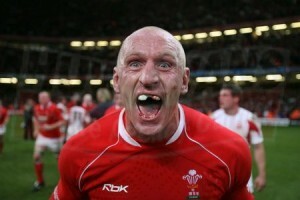 For example, in England, 6’3″, 225-pound rugby star Gareth Thomas recently came out. He was featured in a major Sports Illustrated spread detailing his life as the first openly gay male athlete in team sports. While no comparable male star has come out in America, Thomas’ brave journey sets the stage for this breakthrough to occur. Gospel singers Ray Boltz and Tonex have acknowledged their sexual orientation, blazing a trail in a very homophobic environment. Country music crooner Chely Wright (pictured), who will be working with the LGBT organization Faith in America to combat religion-based bigotry, courageously came out this month. While Ricky Martin’ announcement that he is gay did not seem to shock many people, it still had a significant impact in the Hispanic community and reverberated across Latin America. And, the recent support of marriage equality by Cindy McCain and Laura Bush gave fair-minded Republican women across this nation a green light to openly embrace their gay friends. Daily advances suggest that the LGBT community is about fifteen years away from full equality. A CNN/Opinion Research Corporation survey released Tuesday indicates that 78 percent of the public supports allowing openly gay people to serve in the military, with only one in five opposed. A new Gallup poll released Monday showed that while the number of Americans opposed to marriage equality continues to outnumber those in support of it, the number opposed has dropped to tie Gallup’ all-time low for the number. According to the poll, 53% of Americans oppose marriage equality compared to 44% who support it. The 53% number is tied with 2007′ 53% for the lowest opposition to gay marriage among Americans that Gallup has recorded. In the next decade or so, a more supportive demographic will fully come of age and replace voters who hail from more conservative generations. During this period, we will witness an increasingly bitter and divisive culture war, as opponents sense defeat and grow desperate. There is no alternative to fighting these battles if we expect to win. Often, I am asked the question: Why do you spend so much time focusing on religious extremists? I spotlight these zealots because the only way we can now lose is if America is overthrown by a theo-fascist regime that obliterates the separation of church and state. Let me state clearly that it is highly unlikely that such a takeover will occur. However, such a nightmare can only take place if we do not pay attention to our opponents. There is no shortage of Americans who desire an intolerant “Christian Nation” that excludes non-fundamentalists from first-class citizenship. I have traveled to rabidly right wing conferences, witnessed their radical vision for America and have seen the determination in their eyes. We should never underestimate their will or doubt their commitment to turn this country into the Christian version of Iran. The one genuine concern I have is the enthusiastic embrace of fringe anti-gay activists by respectable members of the Republican Party. Strong ideological divisions combined with a weak economy and high unemployment could place in power Republicans beholden to fanatical elements. This could potentially create a dire situation where our opponents have the raw power to reverse the LGBT community’ notable gains. If you don’t think they can do it, consider that the extreme right took over the Texas School Board and rewrote the history books. These same people would have no qualms about writing LGBT people out of America’ future. Minnesota is a troubling example of GOP leaders in bed with extremists. According to the Minnesota Monitor, a radical anti-gay ministry, You Can Run But You Cannot Hide (YCR), has solidified ties to the Republican Party of this state. The group is linked to Rep. Michele Bachmann and gubernatorial candidate Tom Emmer. YCR recently said on its radio show that Muslim countries that use the death penalty for gays and lesbians are “more moral than even the American Christians”. While this has caused Emmer to tiptoe away from YCR, the question remains, why is the GOP cavorting with crazies? As we approach the finish line for equality, we must always keep one eye on the prize and the other on the awful surprise our theocratic foes desperately want to inflict on America. If they win, we lose. That is a lesson we don’t have the luxury of forgetting.